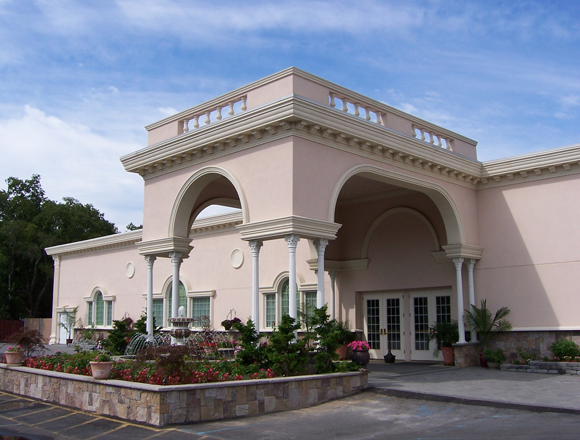 With a multitude of events that many families celebrate, from weddings to communions and everything in between a reception center can be the perfect place to have your next gathering. If your family is planning a special event consider a reception center as a potential venue. There are many benefits to holding your event at a reception center, from providing a large enough room to hold all of your guests, to the ease of planning your event. We would like to share some types of events that we host regularly for families and the benefits of having those events at a reception center. We host many communion parties all spring long. It’s a sacred and meaningful event for families and they usually begin after Easter and continue for a number of weeks. This is an important first step in your child’s religious upbringing and can be celebrated as a breakfast, brunch or afternoon buffet at our reception center. This is a rite of passage, usually when a Jewish child turns 13 when they become accountable for their actions and are considered old enough to properly understand the Torah and to be treated more like adults. Families celebrate with family, friends, and members of the community and these affairs can be quite elaborate in the United States. A reception center is a perfect place to hold such a large celebration and can give families and friends a hassle-free celebration. From high school to college graduations the months of May through July are full of celebrations for graduates. Depending on the size of the event, a reception center can be a great venue for your graduate’s big day. Many companies host summer or holiday events for employees. There’s no better way to treat your employees to a few hours out of the office for a holiday luncheon or dinner or a mid-summer retreat. Many companies use a reception center to host their annual awards banquet to honor employees for different accomplishments or to provide an update on new product, service or corporate announcements. With many couples celebrating their 25th, 40th or 50th Anniversaries throughout the year, families can plan for a wonderful way to celebrate the years of being together with family and friends. Holding an anniversary party at a reception center gives a very wedding-like feeling and can be a fun way to honor your parents, grandparents or friends. Nothing is more fun than to celebrate the upcoming arrival of a baby into your family! Many friends and families of moms-to-be choose a reception center to host their bridal showers for brunches, lunches or afternoon teas. This is a great way to provide for enough room for the guest and all the gifts that are always piled to the ceiling. For the hosting friends and family, it gives them the opportunity to focus on the mother-to-be without having to worry about making or serving food and drink. Even if the wedding is not being held at a reception center, a wedding shower can be held at a reception center, especially if the number of guests is high and the bridal party wants to focus on the bride and not the venue on the day of the shower. With growing families and less time to keep in touch, many family reunions look toward reception centers for the hosting of their event. It’s a great way to get the extended family together during a happy occasion where there may be a need for a larger, reception center type venue. These are just some of the types of events that are perfect to hold at a reception center that are not necessarily weddings. Keep in mind that Jacques Reception Center can help you plan all the details, from seating, style of event, food selections and even the décor or centerpieces. If you prefer to hold your event at an off-site venue or at home, Jacques Exclusive Catering can provide everything from food to tents, chairs, tables and just about every type of rental you will need. Contact Jacques today for more information on how we can help make your special event memorable, or click here to view our reception center menu or services.